Structured Products are alternative investments that have recently experienced a rise in popularity among U.S. investors. This investment can help investors diversify their portfolio, manage risk, and take advantage of specific market views. 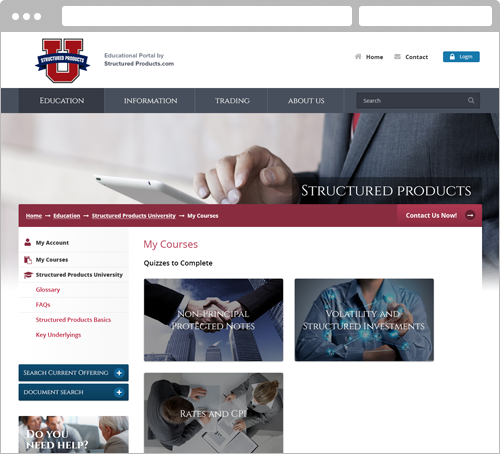 Cultura Interactive was hired to create an Educational Platform and a Repository System where brokers can earn a certificate as well as navigate through the structured product market offers in a user-friendly way. 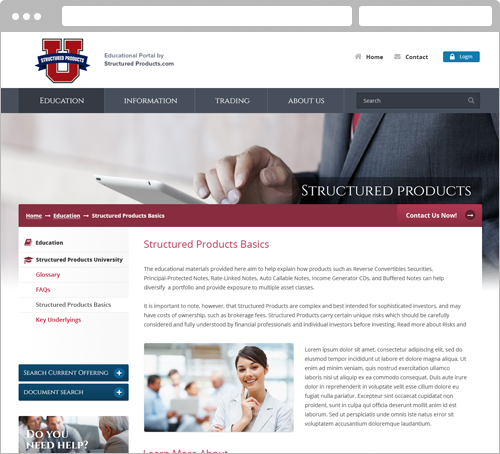 Part of the design process involved creating a new brand identity for Structured Products. Our graphic design team made sure to create an attractive logo that instantly communicates the brand’s purpose with just one glance. Structured Products needed to have a user-friendly environment in order to provide users with valuable resources such as Education, Information and Trading. 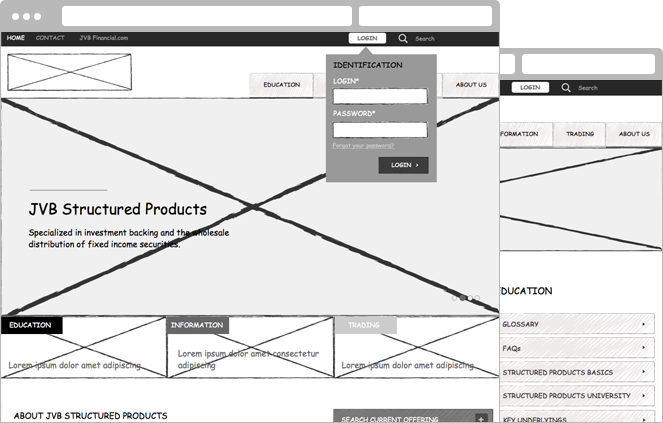 With this idea in mind and paying close attention to user experience, we created a website dividing the different sections to ensure a clean, intuitive flow throughout the website. 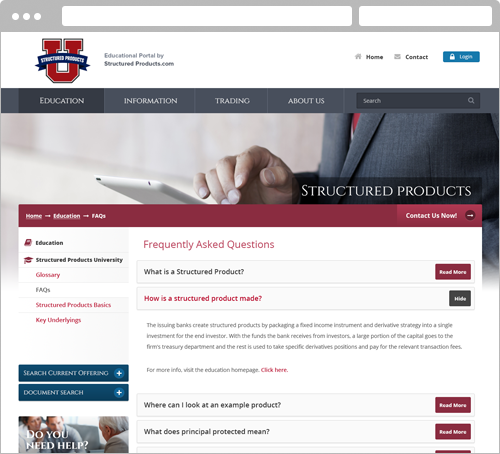 Since smartphones are being used for almost everything, it was important for Structured Products to have a seamless transition from desktop to mobile. 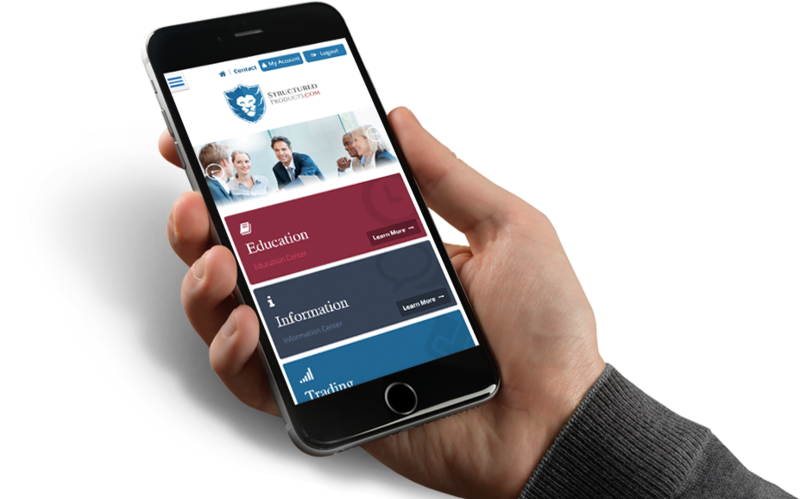 Whether it’s on a tablet or smartphone, users can easily access the same information provided on the website, enjoy a hassle-free experience with the mobile version of the repository system, and can even complete the educational quizzes straight from their mobile devices. 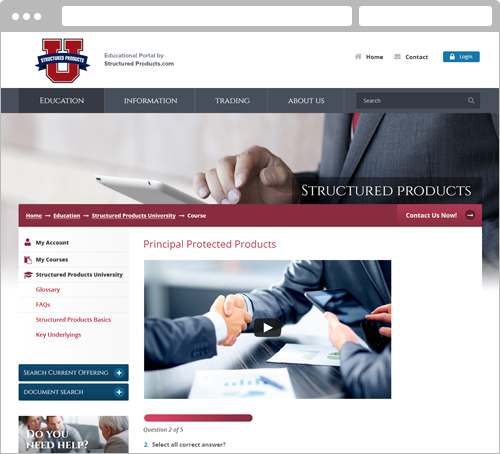 The website also includes Structured Products University in which their students can create an account, enroll in courses and complete educational videos and quizzes. Once the course has been completed and graded, students with a passing score will receive an emailed certificate of completion. 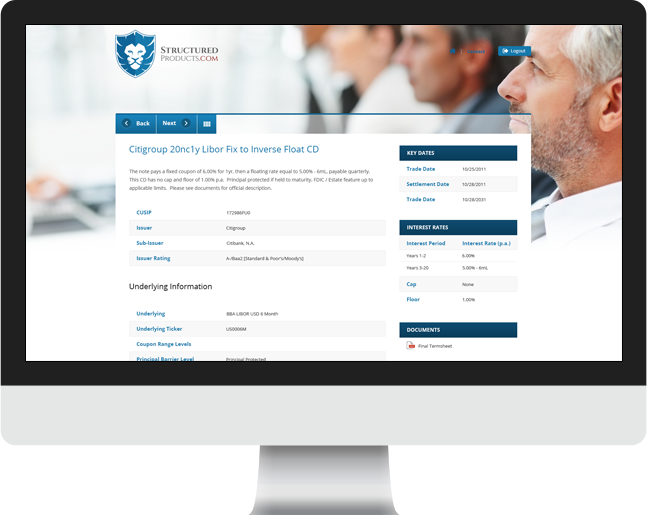 Our highly skilled professionals worked together with our client to ensure the best possible experience for their users. 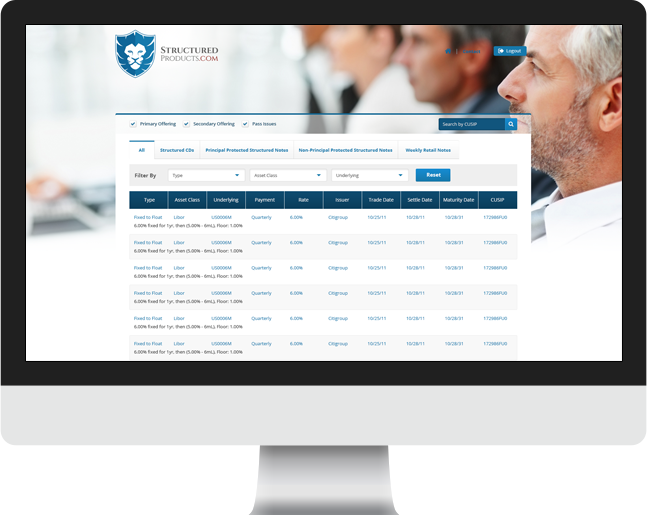 We created a strategic Repository System that allows users to filter out categories based on the information they want to see. A mobile version of the complex filter was also created with a slightly different interface, so that users will be able to access the same type of information while still maintaining its functionality.